Cannabis users are still able to donate blood, says Canadian Blood Services. Peter MacDonald, the director of donor relations in Atlantic Canada, says the rules have not changed since cannabis was legalized, and that the criteria are similar to alcohol. It's more about the donor's level of sobriety, he said, than about the length of time since consumption. "As long as you are able to answer the questions and you are not impaired, you are able to proceed," he said. "So certainly, it is all about comprehension and giving informed consent to the questions that are going to be asked." 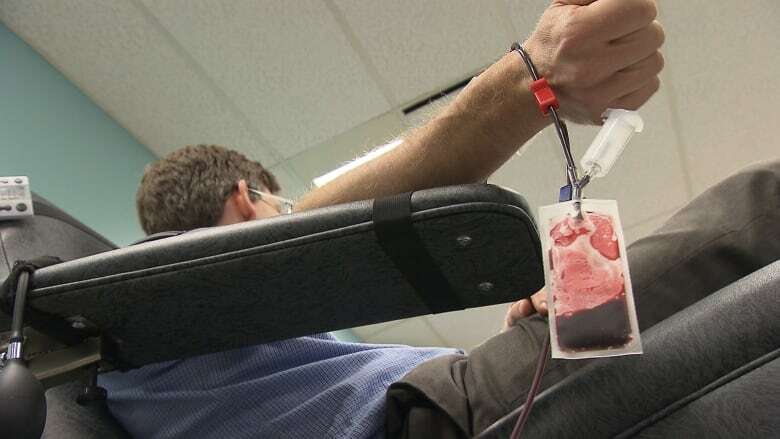 MacDonald said the demand for blood is particularly high around the Christmas holidays. Between Dec. 17 and Jan. 6, there are about 3,500 appointments to fill in Atlantic Canada. "It is the most difficult time of year to fill appointments in the blood system and get people to donate, is that week between Christmas and New Year's and then that week after New Year's," he said. "Of course, cancer patients, recipients of blood products, won't get Christmas off. The demand will continue to be strong even though we will have less opportunities to collect blood." MacDonald says a trauma patient could use the blood of up to 50 donors, while a cancer patient could use the blood of eight donors on a weekly basis. Visit blood.ca or call 1-888-2-DONATE (236-6283) to book an appointment.